Number Of Wheels: 4 Nos. With our expertise and trustworthiness, we are engaged in offering an optimum quality range of Dual Mast Aerial Work Platform. 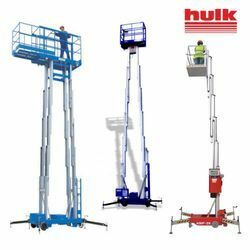 Our company has gained immense accolades in the field of offering Dual Aerial Work Platform to the clients.